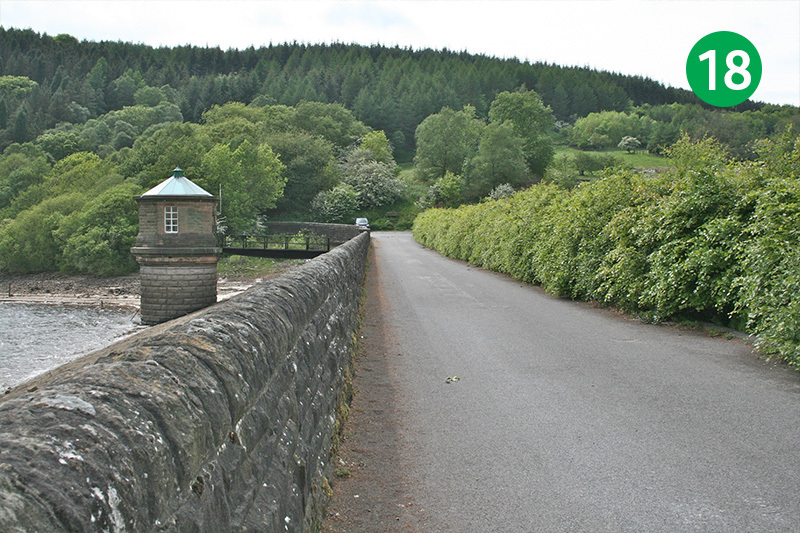 Starting from the main car park, just over the dam wall separating the two reservoirs, this six-mile circular walk passes along a forest track before climbing up to the ridge of Taxal Edge. The views from here are truly breath-taking. The walk then drops down to the attractive hamlet of Taxal, with its picturesque church, before returning along the bank of the River Goyt. This wonderfully scenic and tranquil river-side section reveals what was lost when the valley was flooded. 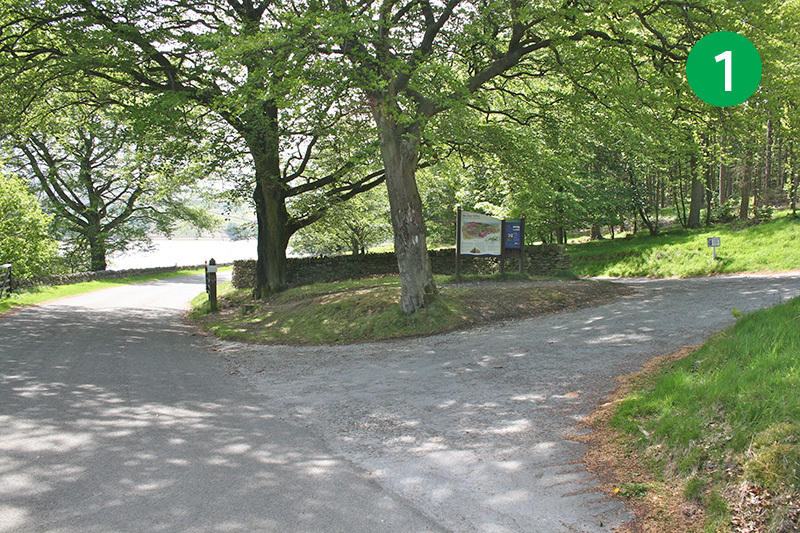 There’s then a choice of routes to return to the car park – along either side of Fernilee Reservoir. 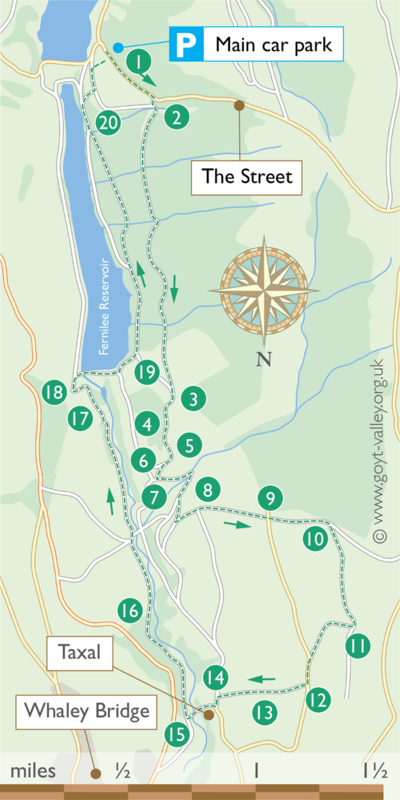 1: This walk starts from the main car park, just the other side of the dam wall if you’re coming down from the Buxton to Whaley Bridge road. 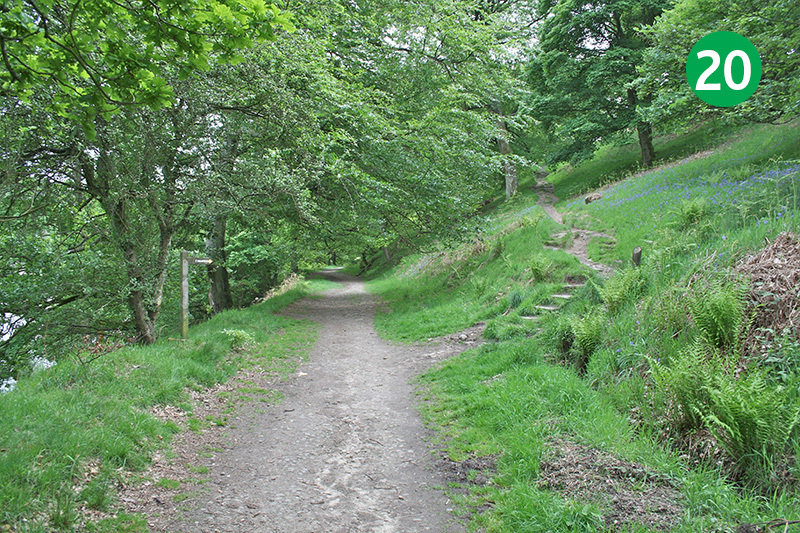 From here, turn up the slope, along a footpath which runs to the left of this old Roman road. 3: To your right you may be able to glimpse Fernilee Reservoir through the trees. After some distance you will come to a wooden gate. Go through this gate, and follow the track as it bends sharply to your right. 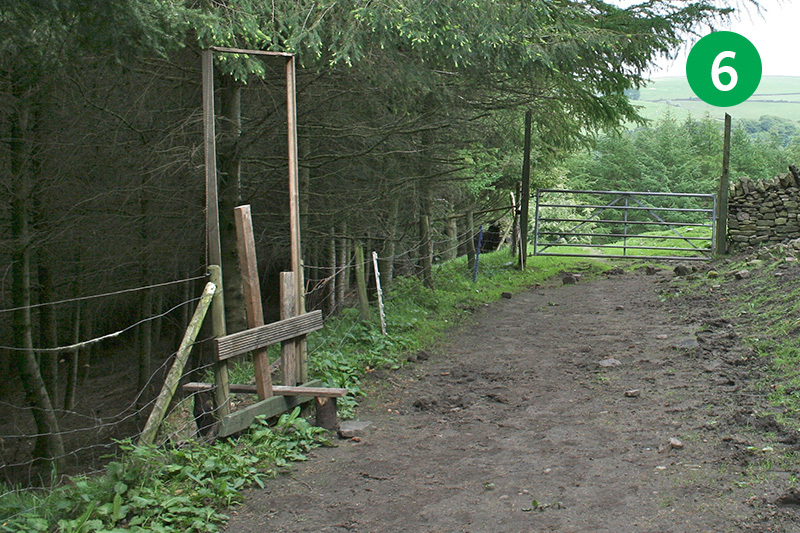 4: Go though another gate which leads into a farmyard. 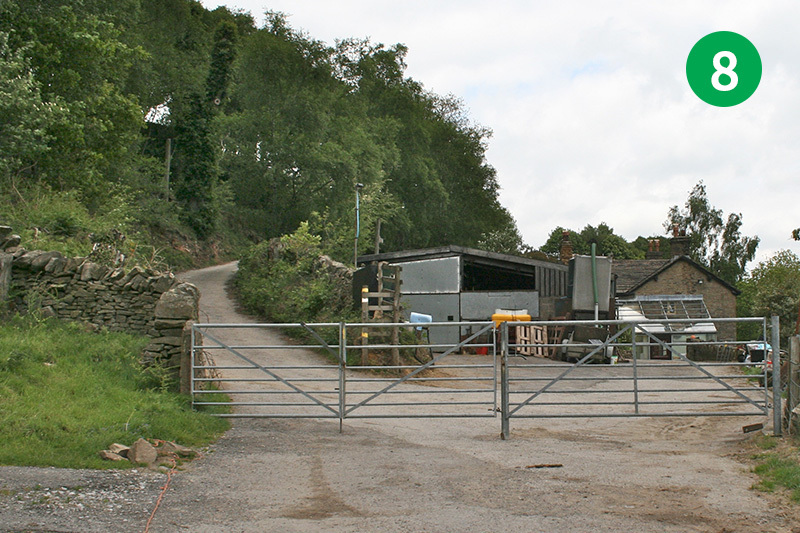 And then through another gate which opens onto a wide farm track. Follow this track, keeping the fencing on your right, until you reach another farmyard. 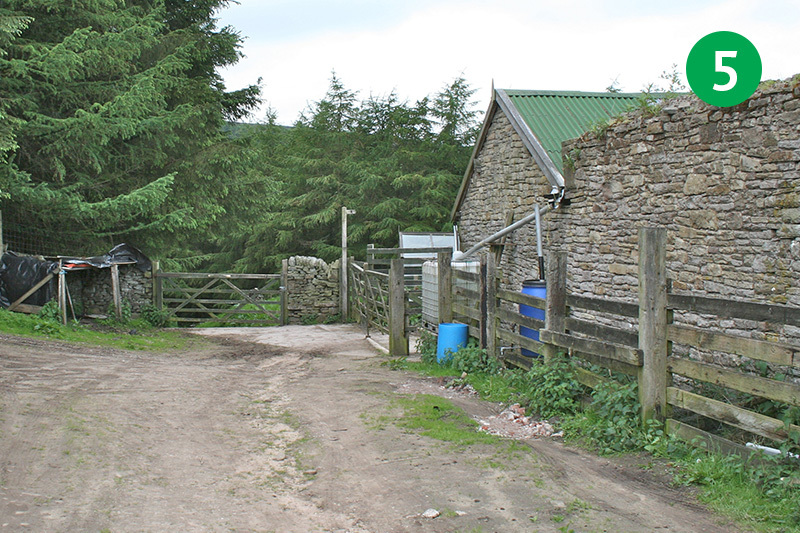 5: Follow the footpath sign on your right through a wooden gate, and go through this farmyard. Exit through another gate and follow this narrower footpath as it turns to the right. 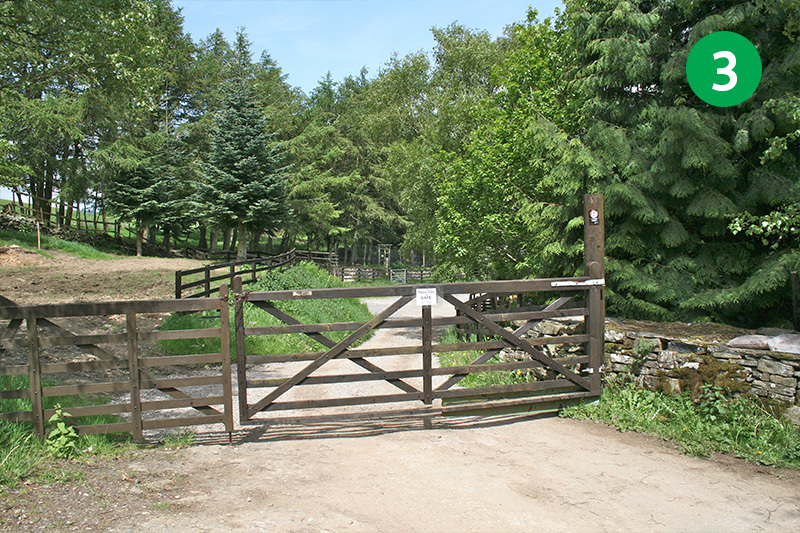 6: Look out for a small wooden stile on your left which leads down a slope though the dense pine trees. 7: Turn left when you reach the road, go through another gate, and head down the slope. Follow this track as it bends sharply right and then upwards until you get to a farm. 8: Go through the gate on the left and head along this narrow road, passing some large barns on your right, until you reach a small road. 9: At this point you can turn right along the road (the walk returns to this road), or if you have the energy, head up the slope straight ahead, between some trees, to reach the ridge, and then turn right along the path. 10. 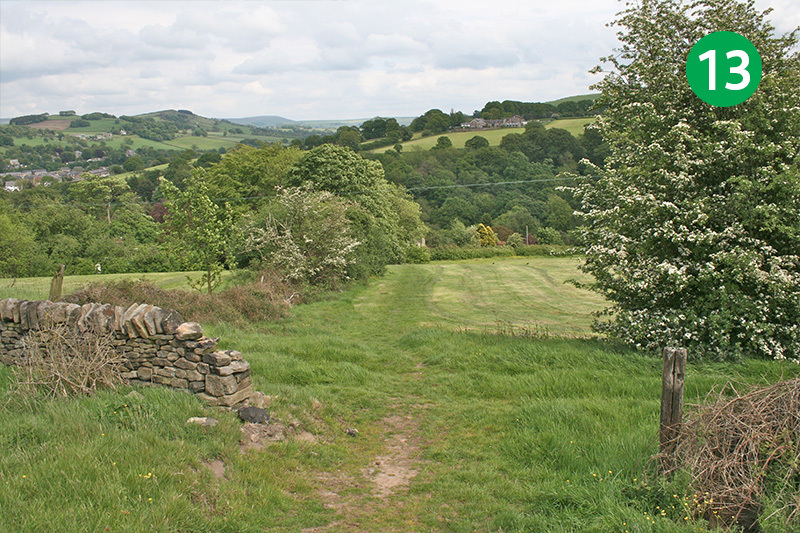 From the ridge you will be able to see some wonderful panoramic views all around, including the town of Whaley Bridge ahead to your right. Walk along this path, beside the stone wall, until you see a smaller path winding down the slope to your right. 11. It’s easy to miss this path. It starts from a dip in the path which runs along the ridge. Head down this slope, following the track as it runs diagonally to the left, until you get back to the road. 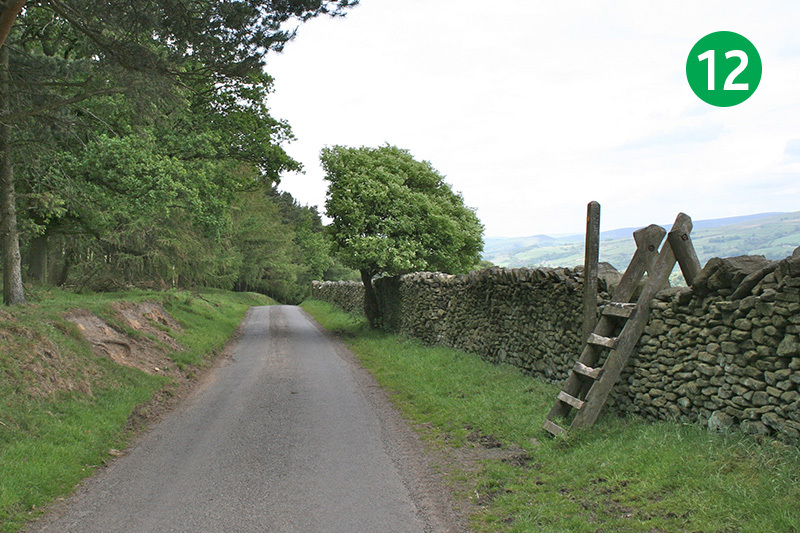 12: Turn left along the road until you see a ladder stile over the stone wall on your right. 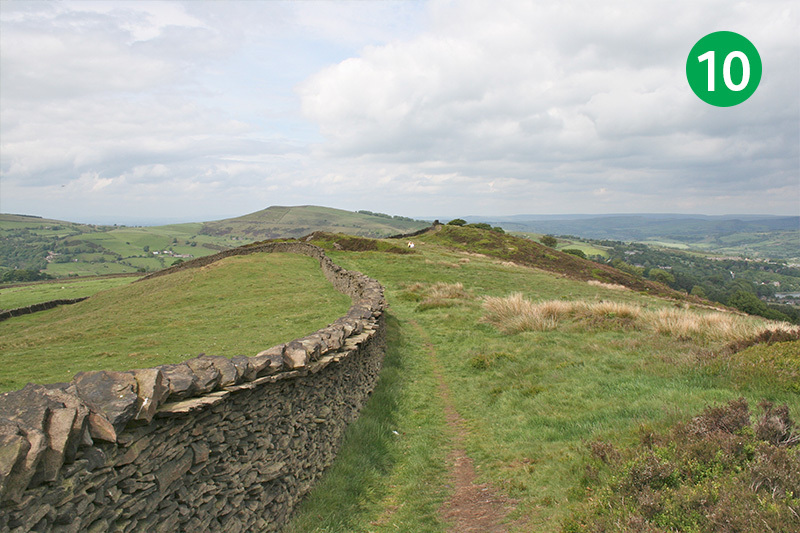 Go over the stile and head straight down the slope towards another stone wall. 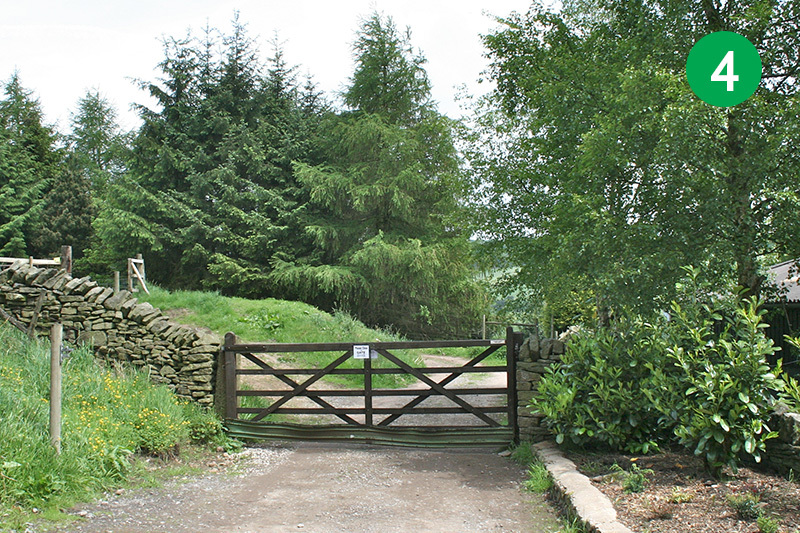 Go through the gate (or over the stile), and continue down the slope, keeping the stone wall on your right. 13: Go though a gap in the next stone wall, continuing down the field path, until you reach the small road. Then turn left towards the small village of Taxal. 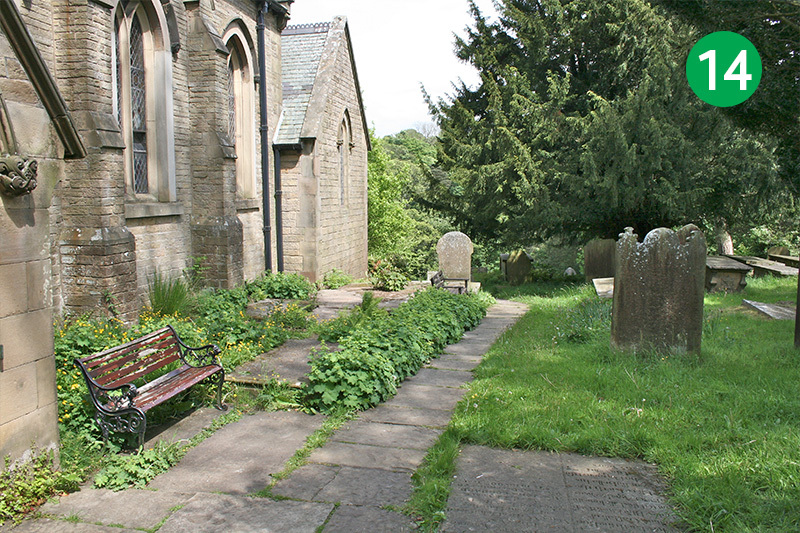 14: The church is well worth a visit, but is unfortunately usually locked. Follow the path through the graveyard, and then turn left down the slope. 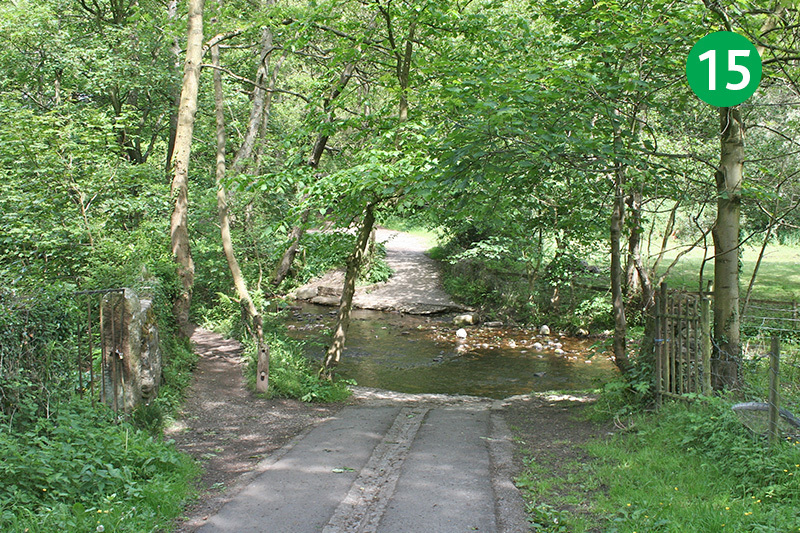 15: The River Goyt runs through the ford at the bottom of the slope, creating a wonderfully picturesque scene. 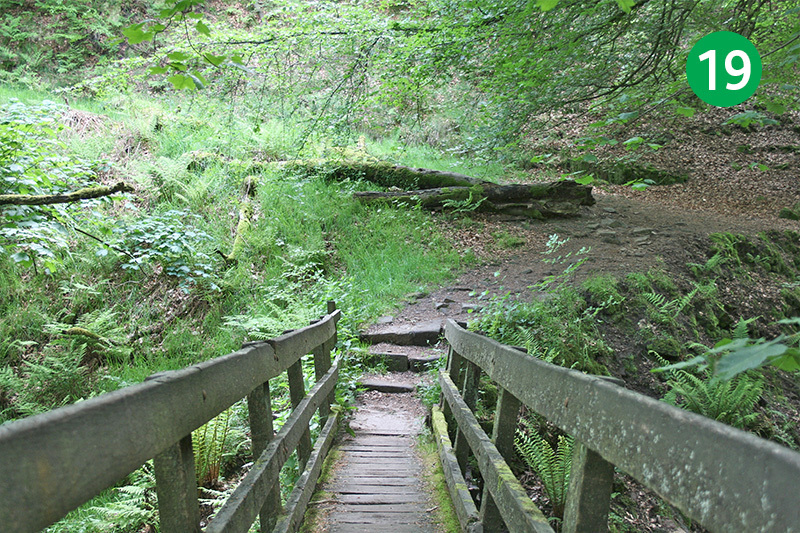 Take the footbridge on the left to reach the other side, then go up the slope to your right. Turn right after a short distance through a small gate. 16: Follow this path for some distance until you exit the trees. 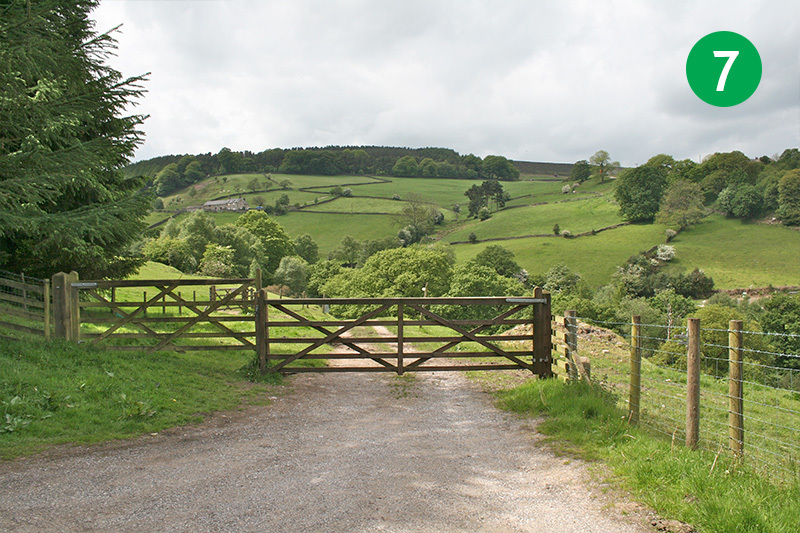 And then continue in the same direction along the footpath as it runs beside the River Goyt, going through a number of small field gates and passing a footbridge on your right. 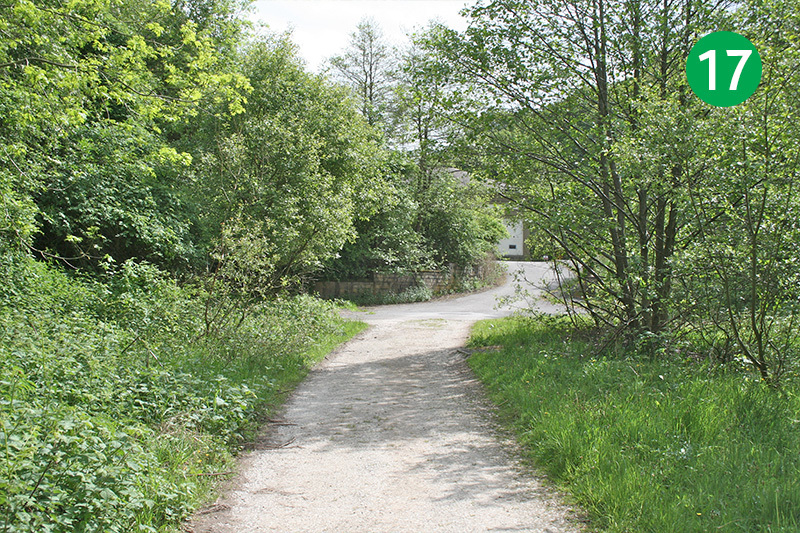 17: Eventually the path reaches the unsightly water-works buildings. Follow the track which runs to the left of the main building, up the slope. 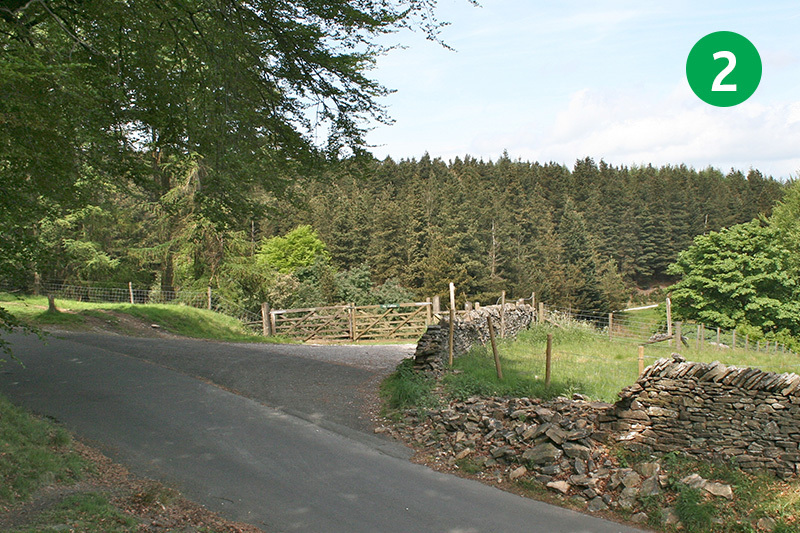 As the roadway bends sharply to the left, head up a small path beside the hedge on your right to reach the car park (or simply follow the roadway to the top). 18. Turn right to reach the northern end of Fernilee Reservoir. From here there’s a choice of routes. 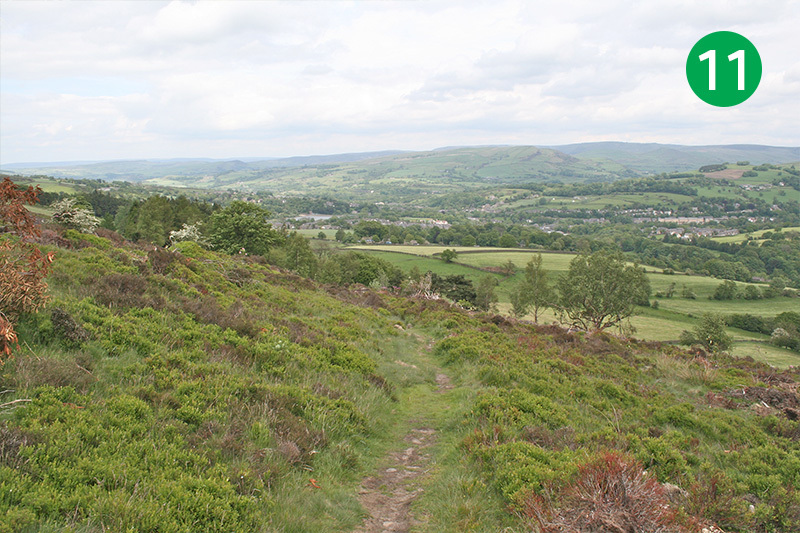 You can walk straight ahead, following the old track of the Cromford & High Peak railway which runs along this side of Fernilee. And then turn right over the dam wall at the end to reach the starting point. But to follow the map, turn right over the dam wall. This will take you along the western shore of Fernilee Reservoir, and through some attractive woodland. 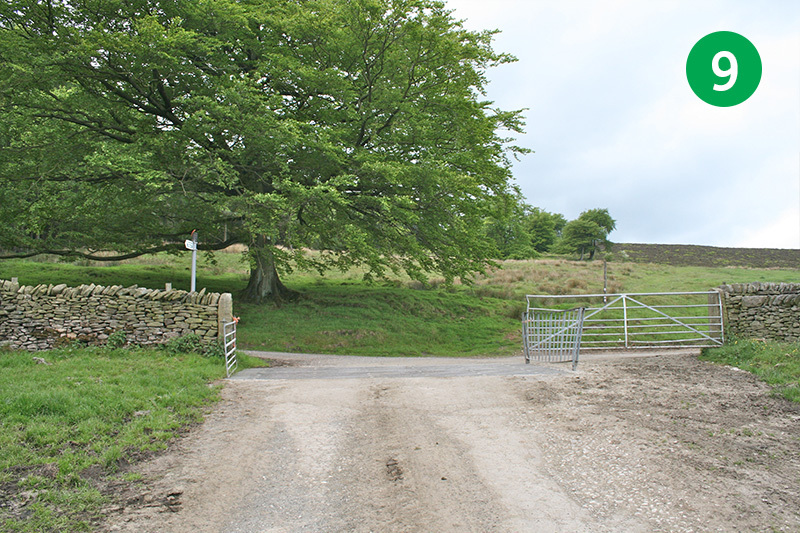 19: Turn left at the end of the dam wall, along the narrow road, and then left again though a small gate. Follow this path through the trees. You could follow the first footpath sign on the left which slopes down to the shore of Fernilee Reservoir. But I prefer to go a little further, passing over a small footbridge, before following the path down to the water’s edge. 20: Continue in the same direction along the shoreline path until you see some steps leading diagonally right up the slope. 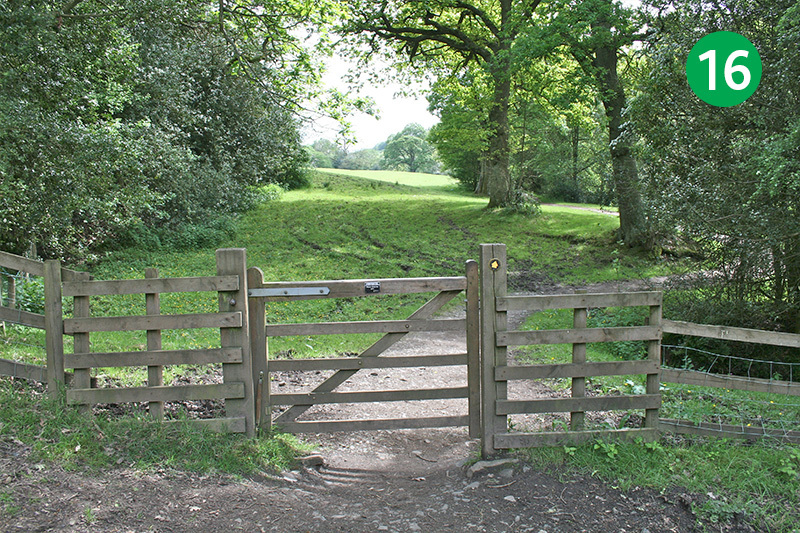 Head up here, through a gate at the top, and follow the path straight ahead. This path leads all the way back to the starting point.